So much going on that we don’t see. Roads, military, parks, safety, health. Government agencies perform massive amounts of work on behalf of citizens — present, past, and future — and we sometimes don’t notice it on a day-to-day basis. A simple example is the protection of cultural resources – our history. A couple of years ago, the Park Authority’s Cultural Resource Management and Protection Branch (since divided into two branches, one for Archaeology and Collections and the other for Historic Preservation) listed 239 goals for the next few years. Staff worked on 86 of them from July 2015 through June 2016 (Fiscal Year 2016) and completed 30. Here are examples of what they’ve done, what they do, and what they plan to do. Historians and archaeologists worked across the county with 30 teams that were creating master plans for parks and executing capital improvement projects. They analyzed cultural resources at those sites before a shovel pierced the ground. They reviewed more than 300 plans for easements, stormwater issues and development, assuring that nothing of vital historic importance was lost. Along the way they partnered with volunteers, the Friends of Fairfax County Archaeology and Cultural Resources, site friends groups, archaeological and historical societies, the Fairfax County History Commission, the Fairfax County Architectural Review Board, and the public to protect cultural resources. They conducted archaeological work as part of 20 projects at sites such as Lincoln Lewis Vannoy Park, the Huntley Tenant House, the Colvin Run Mill Miller’s House, Sully Woodlands, and Langley Forks Park. Archaeological oversight took place as part of road projects along Route 7, Route 1, Route 28 and Route 66. University students gained experience in some of those projects thanks to an internship program. Working with history in Virginia isn’t complete without exploration of the Civil War. Park Authority employees co-chaired the county’s Civil War Sesquicentennial commemoration committee, helped plan local and regional Civil War memorial events, and recommended sites for inclusion in the Civil War Trails program. They also took part in dedication ceremonies as 26 Civil War Trails markers were installed. Back in the office, archaeologists catalogued more than 40,000 artifacts from Colchester, Sully Woodlands, Colvin Run, Lincoln Lewis Vannoy and Walney, and they updated older archaeological collections to federal and state standards. Some of those artifacts ended up in an exhibit in the lobby of the county’s Government Center, and others popped up on a reignited web page entitled artiFACTS. All this while filling out the immense paperwork required for reaccreditation with the American Alliance of Museums to show citizens they are doing things the right way according to modern day best practices. Accreditation and best practices means adhering to guidelines of the Secretary of the Interior’s Standards and other federal regulations, such as the National Historic Preservation Act, the Antiquities Act, the Native American Graves Protection and Repatriation Act, the Archaeological Resource Protection Act, the National Environmental Policy Act, state and local regulations, and even a section of the Department of Transportation Act. That’s a lot of rules to know. That’s a lot of getting things done the right way. Fiscal Year 2016 saw substantial work on county historic houses. Staff completed development of a Resident Curator Program and conducted studies designed to protect the Turner Farm House, Sully Historic Site, the Huntley Tenant House, and Colvin Run Mill’s miller’s house. Five historic sites in Fairfax County were headed for the county’s Inventory of Historic Sites, and three may land on the National Register of Historic Places. Park staff reviewed the nominations to make sure the sites qualified and that everything was in order. Back outdoors, staff provided technical assistance to the Fairfax County Cemetery Preservation Association for more than 20 cemetery documentation and cleanup projects. They also completed Cultural Landscape Studies for Ellanor C. Lawrence Park and the Great Falls Grange. Beyond conducting the business of archaeology and history, park staff taught citizens about their cultural resources and how to protect them. They were involved in meetings of the Council of Virginia Archaeologists and the Archeological Society of Virginia. They co-sponsored the annual Fairfax County History Conference, presented papers at the Society for Historical Archaeology Annual Meeting, prepared an exhibit and organized a symposium to commemorate the 50th anniversary of the National Historic Preservation Act, co-sponsored the Annual Archaeology Symposium with Friends of Fairfax County Archaeology and Cultural Resources, presented papers at the Middle Atlantic Archaeology Conference and judged student papers at that gathering, co-sponsored an archaeology symposium at Gunston Hall, worked on the steering committee for Historically Fairfax, the 275th anniversary of Fairfax County, and ran archaeology summer camps at Ellanor C. Lawrence Park, Riverbend Park and Huntley Meadows. All in a day’s work. And it’s a lot of work, because history has a lot of days in it. 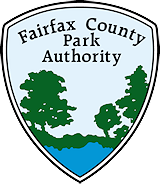 This entry was posted in Uncategorized on October 28, 2016 by Fairfax County Park Authority. Surprising and very informative report. You have been busy as stewards and presenters of the extensive historical and cultural resources of our County. Keep up the good work, best of luck in your important work.